Background: Child marriage is widespread public health issue with varying prevalence across countries, cultures, religions and ethnicities in both proportions and numbers. The objective of this paper is to examine the effect of maternal age at marriage on experiencing child death among Nepalese mother. Methods: This paper employs secondary data from the Nepal Demographic and Health Survey (NDHS), 2016, a nationally representative sample survey. The analysis of this paper is limited to married women (n=9,180) having at least one live birth aged 15-49 years. Univariate, bivariate and multivariate analysis were performed. Binary logistic regression was used to assess risk factors on experiencing child death due to lower age at marriage of mother. Results: More than one in four women got married before 15 years (26%). Sixteen percent of women had experienced at least one child death. Logistic regression analysis shows that women who got married at 16-19 and 15 or below were 1.6 times and 2.2 times respectively more likely to experience child loss than those who got married after 20 and above. Women who had primary and secondary or above education were 42% and 61% less likely (aOR=0.58 for primary and 0.39 for secondary or above) to experience child death than women who had no education. Rural women were more likely to experience child death (aOR=1.32, p<0.001) than urban women. Women from middle and rich households were less likely to experience child death (aOR=0.81 for middle and aOR=0.63 for rich) than poor women. Women who were exposed to TV were less likely to experience child death (aOR=0.79, p<0.001) than women who were not exposed to TV. Conclusion: Experience of child death among married women in Nepal is not uncommon. Policy makers should pay special attention towards improving socioeconomic status of the mothers including implementing the legal age at marriage as an effort to curb child marriage and hence child mortality in the country. Women who are poor, deprived of education, and living in the disadvantaged regions with poor access to quality health care services should be regarded as a top priority so that child mortality will decrease and the overall well-being of the family can be enhanced. Child marriage is broadly defined as a marriage or union before the age 18 . Child marriage is widespread public health issue with varying prevalence across countries, cultures, religions and ethnicities in both proportions and numbers. Globally every year 15 million girls are married before the age of 18. The burden of child marriage is predominant in the rural areas of Sub-Saharan Africa and South Asia. Around 4 in 10 young women were married in Sub Saharan Africa and 3 in 10 young women were married before the age 18 years in South Asia . Developing countries account for 7.3 million girls under the age of 18 giving birth every year. Out of them, girls under 15 constitute 2 million births . The death of an infant is often considered as a consequence if he/she is given to birth by a child mother. Study showed that the infant born to mothers under the age of 18 is 60% more likely to die in its first year of life than an infant born to a mother older than 19. Furthermore, even if the child survives, he/she is more likely to endure low birth weight, under nutrition and delayed physical and cognitive development . In Nepal, 13 percent of the women aged 25-49 years were married by the age 15 and 52 percent of them were married by the age of 18 . Child marriage exposes girls to the risks of too- early pregnancy, child bearing, and motherhood before attaining physical and psychological maturity. It increases exposure to sexually transmitted infections (STIs), including HIV [6,7]. A study found girls who married between 15 and 19 years of age are far more likely to experience complications during pregnancy and childbirth than those over twenty [8,9]. The objective of this paper is to examine the effect of maternal age at marriage on experiencing child death among Nepalese mother. More explicitly, this paper aims to investigate whether child marriage (age at marriage) has an effect on mother’s experience of child death. This paper also aims to fill the knowledge gap in the literature regarding maternal child marriage and child mortality. Although a few studies on child marriage and its effect in experiencing child death do exist in international literatures, this type of research has not yet been instigated in Nepal as far as our knowledge. This paper employs secondary data from the Nepal Demographic and Health Survey (NDHS), 2016, a nationally representative sample survey. The primary objective of the 2016 NDHS is to provide latest estimates of basic demographic and health indicators. The NDHS provides a comprehensive overview of population, maternal, and child health issues in Nepal. The study protocol was approved by the Nepal Health Research Council. Verbal informed consent was obtained from all the respondents prior to data collection. The survey was carried out under the aegis of the Population Division of the Ministry of Health and Population. Publicly available dataset from the website of DHS was used for carrying this study . The 2016 NDHS used multi-stage cluster sampling method for sample selection. Sample was stratified and selected in two stages in rural areas and three stages in urban areas. In the first stage, 383 wards were selected with probability proportional to ward size following independent selection in each sampling stratum. The ward size is the number of residential households in the ward census used in the 2011. Due to the large size of the urban wards, in a second stage of sample selection, one EA was randomly selected from each of the sampled urban wards. A household listing operation was carried out in all of the selected sampling clusters (rural wards or urban EAs), and the resulting lists of households served as the sampling frame for the selection of households in the next stage. Similarly, household listing for the selected clusters with more than 200 households was segmented. Household listing was conducted only in the selected segment. Only one segment was selected for the survey with probability proportional to segment size. In the last stage of selection, 30 households were selected per cluster. All women aged 15-49 who were either permanent residents of the selected households or visitors, who stayed in the households the night before the survey were considered eligible to be interviewed. Detail methodology can be found in DHS report . NDHS, a cross sectional survey, covered 12,862 women of reproductive age. However, the analysis of this paper is confined to married women having at least one live birth aged 15-49 years (n=9,180) . The dependent variable of this paper is experience of child death among Nepalese mother. The main independent variable is 'age at marriage' which is further categorized into three categories i.e. below 15 years, 16-19 years; and 20 years or above. Individual characteristics of women, socio-economic characteristics of the household and community level characteristics were used as control variables in this study. Univariate, bivariate and multivariate analysis were performed. Binary logistic regression was used to assess risk factors for experiencing child death due to lower age at marriage of mother. Prior to the multivariate analysis, multi-colinearity between the variables was assessed. The multicollinearity test found that ‘age of the women’ and ‘number of children born’ was highly correlated. Multi-collinearity is a common problem when estimating logistic regression, which leads to unreliable and uneven estimates of regression coefficients. Therefore, the variable ‘number of children born’ was removed from the logistic regression model. Two logistic regression models have been used in the analysis. The first model contained 'age at marriage' as the main independent variable. In the second model, other variables such as age, education, women’s autonomy, working status, ethnicity, religion, wealth status and place of residence were added to examine the net effect of age at marriage on experience of child death after controlling for the individual, family and community characteristics. The Statistical Package for Social Science (SPSS 20.0 for Windows) software was used to analyze the data. More than three-fourth (78%) of the women were married at adolescent age (below 20 years). More than two-fifth of them (44%) had no education. More than a third of the women (34%) were from Janajati followed by Brahmin/Chhetri (31%). Nearly a third of the women (30%) had two children while more than a fifth of them (23%) had one child. Majority of the sampled women (87%) believed Hindu religion which is slightly higher than national average (81%). It is notable that more than two-fifth of the women (42%) had no autonomy in making decisions regarding their health care. Almost two-fifth of the women (39%) each resided in rural area and were jobless (not currently working). A half of the women (50%) were engaged in agriculture whereas nearly a third of them (30%) didn't work. Nearly two in five women (37%) were poor. Nearly a half of the women (47%) had no exposure to radio while almost a third of them (32%) had no exposure to TV (Table 1). Table 1: Background characteristics of married women who have ever given birth. Bivariate analysis showed that age at marriage, age group, education, ethnicity, total number of children, autonomy in own health care related decision making, place of residence, occupation, wealth index, exposure to radio and TV had significant association with the experience of child death. It is found that age at marriage has inverse relation with experience of child death among the mothers. A significantly higher percentage of women who got married at an age of 15 years or below (24%) compared to 20 years or above (9%) had experienced child death. Similarly, a significantly higher percentage of women aged 35 years or above (25%), women who had no education (27%), women who belonged to Dalit ethnicity (21%) and who had four or more children (56%) had experienced child death. Likewise, a significantly higher percentage of women who had no autonomy in their own health's decision making (17%), who resided in rural area (21%), who were involved in agriculture (20%), who were poor (22%), who didn't have exposure to radio (19%) and TV (24%) had experienced child death (Table 2). Table 2: Background characteristics of mother’s who have at least one child birth within five year preceding the survey by experience of child death. Two logistic models were run separately in multivariate analysis. In the first model 'age at marriage' was included as independent variable and 'experience of child death' as a dependent variable. Women who got married at earlier age were more likely to experience child death (OR=1.85 for those mothers who got married at 16-19 and OR=3.0 among those who married at 15 or below, p<0.001) than those who got married at 20 years or later. In the second model, demographic and socio-economic variables were added. Age at marriage still remained a significant predicator after controlling the demographic and socioeconomic variables. Women who got married at 16-19 and 15 or below were 1.6 times and 2.2 times respectively more likely to experience child death than those who got married at 20 and above. The reduction in the odds ratio after controlling the demographic and socio-economic variables indicates that these variables also had significant effect in experiencing death of child. This study found older women have higher experience of child death. Mother’s current aged 25-34 and 35 or above were almost 2 times and 4 times respectively (aOR= 1.84 among 25-34 aged women and aOR=4.24 among women aged 35 or above) more likely to experience child death compared with mother aged less than 25 years. This study also found that education of mother had inverse relationship with experience of child death. Women who had primary and secondary or above education were 42% and 61% less likely (aOR=0.58 for primary and 0.39 for secondary or above) to experience child death than women who had no education. Dalit women were more likely to experience child death (aOR=1.23, p<0.05) than women from Brahmin/Chhetri. Similarly, rural women were more likely to experience child death (aOR=1.32, p<0.001) than urban women. Women from middle and rich households were less likely to experience child death (aOR=0.81 for middle and aOR=0.63 for rich) than poor women. Mass media exposure, especially exposure to TV had significant effect on experience of child death. Women who were exposed to TV were less likely to experience child death (aOR=0.79, p<0.001) than women who were not exposed to TV (Table 3). Our study showed an inverse relation between age at marriage of mother and her experience of child death. Consistent to our findings, other similar studies revealed that girls married as adolescents are often obliged into early childbearing and are often likely to experience complications during pregnancy and childbirth adding up risk to young mothers; leading to devastating injuries, infant death, malnutrition and even maternal death [8,10]. A study conducted among young adult women in India represented that those who had child marriage have higher rates of infant and child mortality and low infant birth weight compared to those not reporting child marriage . Women who got married and begin childbearing at a younger age are also more likely to have greater number of children, which is also linked to increased likelihood of poor maternal, infant, and child health outcomes [12,13]. Such findings depict the need for analysis of the relative contribution of child marriage to poor infant and child health as well as suggest priority considerations towards addressing the demographic vulnerabilities of the mother. Our study found that women who had education were less likely to experience child death compared with illiterate women. Many research studies have also reported that mother’s education is known to have a significant effect on child survival referring to reducing child mortality [14-17]. Educated women have better knowledge of child care and family planning  so they utilize available health services. Rural women were more likely to experience child death than urban women. The finding of rural urban difference is similar to other studies [19,20]. The urban-rural differentials may be attributed to different health care services, including higher immunization coverage, safer childbirth, and better access to health care . Our study found that women from Dalit caste were more likely to experience child death than Brahmin/Chhetri women. Study reported that health services are beyond the reach of many Dalit women, especially in rural areas of Nepal. A significant number of Dalit women die in the absence of basic health services. Similarly, the maternal mortality rate  and infant and child mortality rate is higher among Dalits than Non-Dalits . Women from middle and richer household were less likely to experience child death than poor women. The role of household wealth is central in global pattern of survival of children under five years. Children from households in the richest quintile have the lowest risk of dying, and both the gross and the net relative risks of child death tend to decrease from the poorest to the richest quintile . This study has some potential limitations that must be understood in accordance to the results. To begin with, due to the cross-sectional design of the study and all of the items analyzed came from information at the time of survey, the analysis cannot show cause and effect relationship. Secondly, all measures were self-reported. Thus, responses may have been biased by recall errors or intentional misreporting of behavior. In conclusion, this study found that child marriage is a widespread phenomenon in Nepal. Similarly, experience of child death among married women in Nepal is not uncommon. Women who are married in their childhood, especially who are poor, deprived of education, living in the disadvantaged regions and belonging to lower caste are prone to face child deaths. These vulnerable groups are believed to have poor access to quality health care services during pregnancy, childbirth and at postnatal period. Thus, program planners need to introduce promising approaches of awareness, educational attainment and economic empowerment to the target population. Policy makers should pay special attention towards improving socioeconomic status of the mothers including implementing the legal age at marriage as an effort to curb child marriage and hence child mortality in the country. United Nations Children’s Fund (2014) Ending Child Marriage: Progress and prospects, UNICEF, New York. Unicef (2018) Child marriage is a violation of human rights, but is all too common. UNFPA (2013) State of World's Population, 2013; 'Motherhood in Childhood, Facing the challenge of adolescent pregnancy. Unicef (2009) The state of the world's children 2009. Maternal and Newborn Health. Ministry of Health, Nepal; New ERA; and ICF. 2017. Nepal Demographic and Health Survey 2016. Kathmandu, Nepal: Ministry of Health, Nepal. Nour NM (2006) Health consequences of child marriage in Africa. Emerg Infect Dis, 12(11):1644-1649. Clark S (2004) Early marriage and HIV risks in sub-Saharan Africa. Stud Family Plann 35(3):149-160. Erulkar A (2013) Early marriage, marital relations and intimate partner violence in Ethiopia. International Perspectives on Sexual and Reproductive Health 39: 6-13. Murphy E, Carr D (2007) Powerful partners: adolescent girls’ education and delayed childbearing. Washington, DC: Population Reference Bureau. ICRW, AFPPD, Australian AID and UNFPA (2016) Child marriage in Southern Asia-policy options for action. Mehra S, Agrawal D (2004) Adolescent health determinants for pregnancy and child health outcomes among the urban poor. Indian Pediatr 41:137-145. Hellerstedt WL, Pirie PL, Alexander GR (1995) Adolescent parity and infant mortality, Minnesota, 1980 through 1988. Am J Public Health 85:1139-1142. World Health Organization (2006) Multicentre Growth Reference Study Group. WHO child growth standards: length/height-for-age, weight-for-age, weight-for-length, weight-for-height and body mass index-for-age: methods and development. World Health Organization. Akmatov MK, Mikolajczyk RT, Krämer A (2006). Determinants of neonatal and under-three mortality in Central Asian countries: Kyrgyzstan, Kazakhstan and Uzbekistan. J Biomed Epidemiol 2: 1860-9171. Basu A, Stephenson R (2005) Low levels of maternal education and the proximate determinants of childhood mortality: a little learning is not a dangerous thing. J Soc Sci Med 60: 2011-2023. Caldwell JC (1979) Education as a Factor in Mortality Decline an Examination of Nigerian Data. Population Studies 33: 395-413. 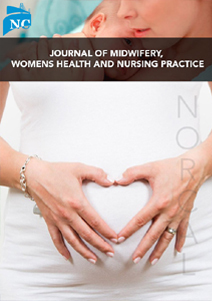 Adhikari R, Sawangdee Y (2011) Influence of women’s autonomy on infant mortality in Nepal. Reproductive Health 8: 7. LeVine R, LeVine S, Schnell-Anzola B, Rowe ML, Dexter E (2012) Literacy and Mothering: How Women's Schooling Changes the Lives of the World's Children. Child Development in Cultural Context. Kaufmann G, Cleland J (1994) Maternal education and child survival: Anthropological responses to demographic evidence, Health Transition Review 4: 196-199. Adhikari R, Podhisita C (2010) Household headship and child death: Evidence from Nepal. BMC International Health and Human Rights10:13. Pandey JP, Dhakal MR, Karki SP, Poudel, Pradhan MS (2013) Maternal and Child Health in Nepal: The Effects of Caste, Ethnicity, and Regional Identity: Further analysis of the 2011 Nepal Demographic and Health Survey. Calverton, Maryland, USA: Nepal Ministry of Health and Population, New ERA, and ICF International. Ram B, Singh A, Yadav A (2016) The persistent caste divides in India’s infant mortality: A study of Dalits (ex-untouchables), Adivasis (indigenous peoples), Other Backward Classes, and forward castes. Canadian Studies in Population 43: 249- 263. United Nations, Department of Economic and Social Affairs, Population Division (2017). World Mortality Report 2015 - Highlights (ST/ESA/SER.A/382).